As you may or may not have noticed, and if you haven’t you soon will, I am in love with fringe. I’ve made no secrets on my blog that I was incredibly weary of this trend coming back around. After all, I am scarred for life after seeing the most ill-fitting unflattering camel suede jackets with fringe so long you could sweep the floor with them everywhere during my adolescence. So, needless to say, I was late to this trend party, but as with all trends, you experiment and you find the right fabrics and fits that work for you. I mean, I love me some Randy Savage, but I’m not about to channel him in my wardrobe, you know? Sometimes, less is more. I’m really into how warm it has been lately; I think September and October may be my favorite months as far as fashion goes. It’s a little cool one day so you can layer on your favorite fall essentials but then it’s like 70 degrees the next day so you can still tap into your summer favorites; like this tank top or strappy heels. I didn’t even have to throw an extra jacket in the car to go with this outfit, it’s crazy but I’m so into it. 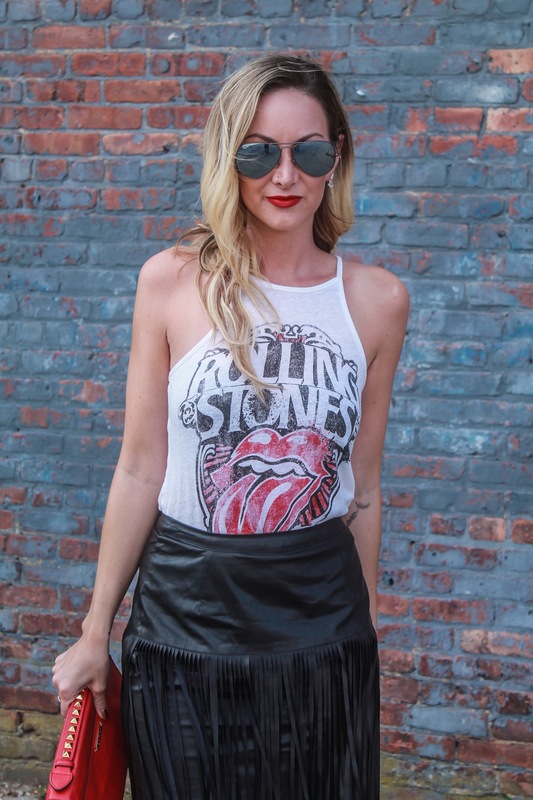 Isn’t this skirt fun? 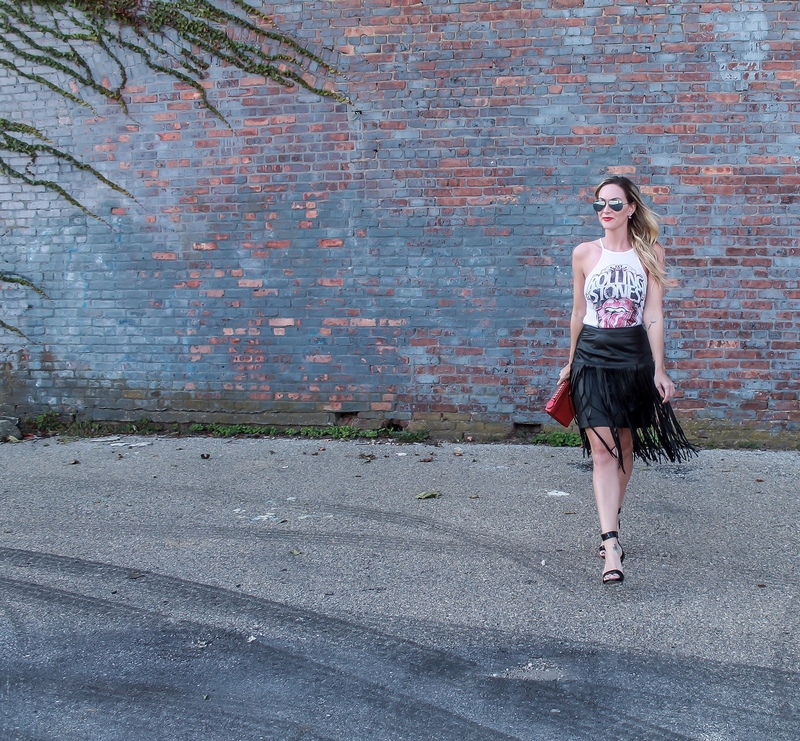 It’s a whole lot of fringe and leather; two trends I’m really enjoying at the moment. I love when designers mix trends like these two without going overboard. It’s a win win for everyone. Speaking of fringe! I’m going to be teaming up with a few of my favorite bloggers next month to show you how we all do fringe, so be sure to keep checking back for that! You will not want to miss it, promise!